Panning through our Media Library of images (those that stayed while the other 45,000 or so were culled), I stopped several times, to reminisce. Those of you who have been traveling with us for years now, remember this one. You who joined our adventures more recently, quickly know that it’s a Danaus. But which one, where? We stopped here, mostly because last week I saw no fewer than several thousand milkweed Danaus butterflies in the Rio Grand Valley, in Mission, Texas. The numbers were staggering. Thousands of Queens, dozens of Soldiers and a handful of Monarchs. It was extraordinary, seeing big beautiful Danaus, 3 species no less, in the last week of December. The boy from Brooklyn was blown away by the thought! butterflies at Christmas time, and in huge numbers. 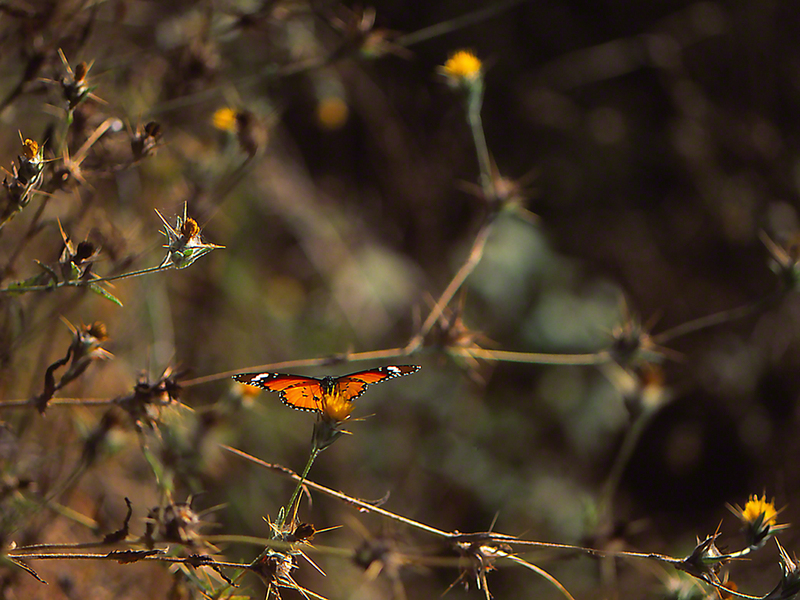 This one seen here is the Plain Tiger butterfly, in Mishmarot, Israel. Probably also seen in Lebanon, Syria, Jordan and Egypt, but that I will never be able to personally confirm. Nor do I wish to see you travel there, for the risks are as real as the risks were back when I was a kid. What can you say when you admire a fresh Danaus? What would you do? Several hundred approaches executed during those two weeks working the fields abutting orange groves, and no more than 6 to 8% of those stalks produced Danaus Chrysippus Chrysippus macro- images. Answers that I’m not seeking: Revert to long lens or . . . or what? But I was hooked. 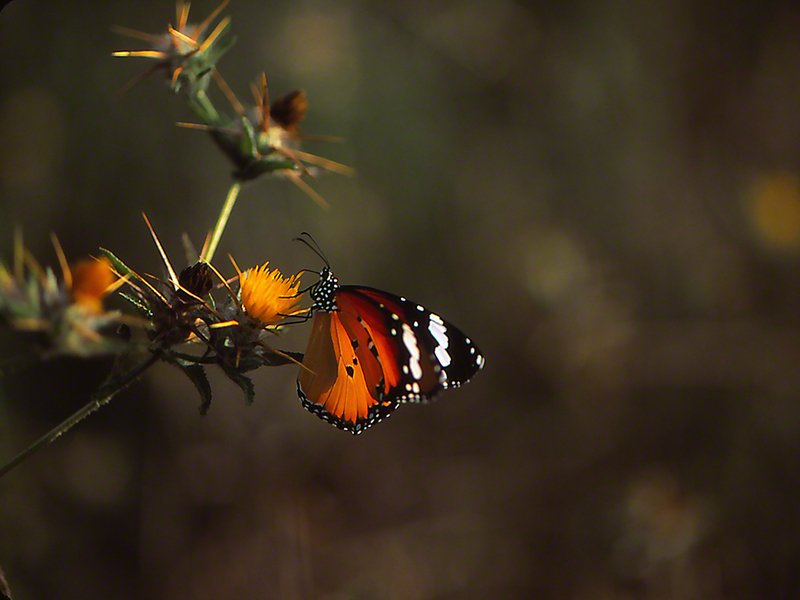 The Plain Tiger butterfly in Israel is eye-poppingly beautiful. I wanted images. That is why we are seeing this image of a male sipping nectar on Centaurea Hyalolepis on Israel’s coastal plain. Usually they fly 9 months of the year and are inactive from February through April. So we share this image, showing him in his habitat, just 25 feet up from that agricultural ditch, the Miracle that is Israel, water piped throughout the Land, nurturing agriculture in the middle of desert.